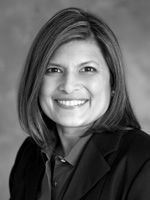 Vandana Slatter is an intelligent and engaged citizen ready to make the leap into Bellevue city government. IN what promises to be a heated race for Position No. 5 on Bellevue’s City Council, Vandana Slatterhas the edge over challengers Michelle Hilhorst and Sherry Grindeland as the best choice for the council. Slatter brings data-driven analytical skills stemming from her career as a clinical pharmacist for Amgen, as well as organizational knowledge from her master’s degree in public administration from the University of Washington. She is a married mother of a teenage son and lives in northeast Bellevue.